Rob Watts looks beyond the timing sheets to see what the first race of the season really tells us about the new F1 season. The Badgerometer is back from 2017, looking back at the first race of the new season. 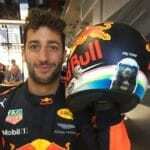 Amidst his very busy schedule, Badger’s Sarah Merritt managed to grab some time to sit down in Red Bull hospitality with the Honey Badger himself, Daniel Ricciardo. The first of this year's Rumble Strips series rounds up the Aussie GP, with Schwarzenegger quotes. Obviously. Mercedes dominated the race, but the legend dominated the event. Ricciardo isn't smiling. Neither are McLaren, Manor or Force India, in fact everyone is a little miffed by Mercedes' pace. Join 100 F1 fans to watch the first race of the season, win awesome prizes with the GP Pub Quiz, raffle, bingo and more. 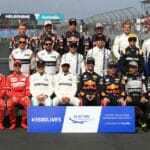 "Grand Prix Stories" is a new series of articles written by F1 fans and their experiences of going a GP. First up is F1 James with his brilliant tale of his trick to the Melbourne '98 GP. 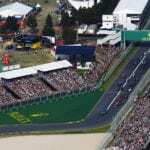 Join Badger GP for the Australian Grand Prix live in London on the big screen in high definition with surround sound. Tickets include full English breakfast with unlimited tea, coffee and juice. Doors open at 5am. This is the Raw Race Pace League Table - where we rank all the teams on their raw pace, regardless of times, wins or what have you.